Here at Starry, we believe that our designers should update their knowledge & skills to match today’s interior design trends. Being the good students they are, our designers work hard and smart. We are constantly learning new things and improving ourselves to serve our homeowners better. Regular workshops are conducted frequently every month. These workshops that we conduct will train our designers to learn about the latest technologies and products in the market. We ensure that we have the best people who are equipped the latest skills and product knowledge. Our intensive workshop training covers subjects like new materials or improved furnishings. We’ll cover everything an ID needs to know. We are fully committed to make your dream home come true. 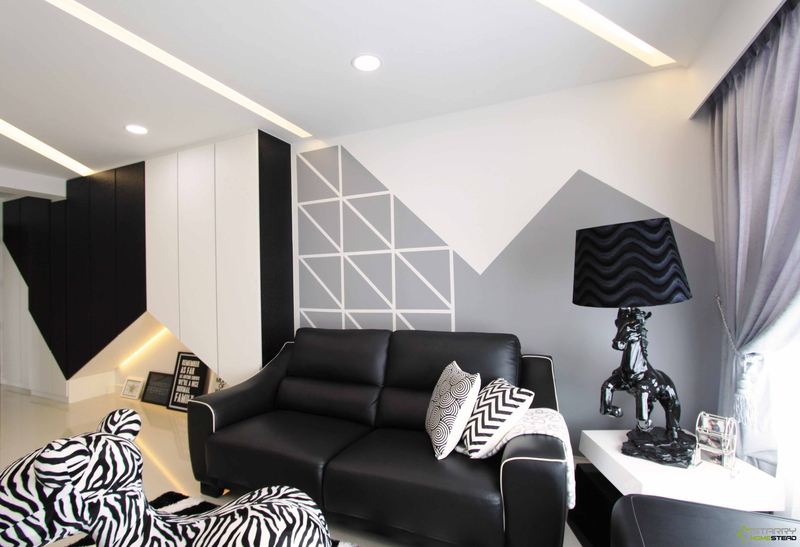 So whether it is product knowledge or innovative techniques to renovate your home, our design team truly believes in the Starry way to make your home shine. We’re here to build living and working spaces that are in sync with your personality, style preference, and way of life. At Starry Homestead, creativity, innovation, and a commitment to quality is at the core of what we do. We liken design possibilities to an open sea – where the flow of ideas never ceases. We strive to constantly push boundaries, innovate, and explore creativity. But above all, we are committed to ensuring quality work, services, and craftsmanship. Because Starry Homestead is committed to you. The driving force of our agency is our dynamic and creative design team. Each individual is equipped with specialised skills, expert knowledge, and impeccable customer service to ensure we deliver the best and surpass expectations every time. From idea conception to completion, expect unparalleled dedication as we commit ourselves to each project with sheer passion. Our reliable after-sales service is also testament of our lasting commitment to clients. Apart from our team of talents, one of the many perks of working with Starry Homestead is the convenience of our one-stop service. This runs the gamut from design consultation and interior makeover to furniture sourcing. By trusting us with furniture shipping and installation, we hope to lighten your load and let you enjoy your renovation journey. Rest your worries, we’re endorsed and certified by the proper authorities. It’s not just talk; we have the awards to prove our credibility and creativity. We pride ourselves on the wide diversity of projects that we take on, from home interiors to commercial and corporate establishments. Each comes with its own set of challenges, but we’re always ready to deliver the best. Thanks to the nifty use of woodgrain patterns, warmth and character flourish in this sprawling space. 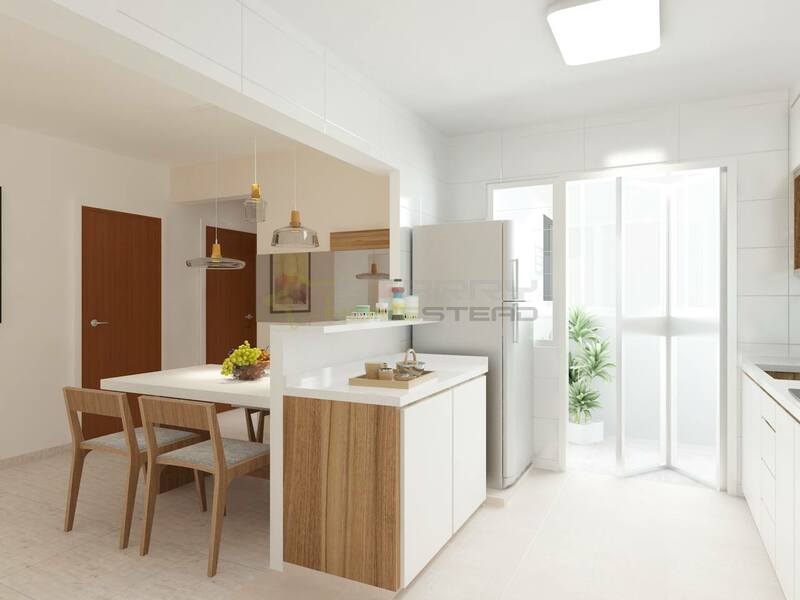 White and wood – a combination loved by many – breathes light and a sense of spaciousness into this gorgeous apartment. The unexpected use of black lends edge and dimension to a characteristically understated Scandinavian interior. Inimitable carpentry work, from the shelving space in the living room to the master suite’s feature wall and study’s storage cabinet, proves Starry Homestead’s solid foothold in the industry. Our clients have spoken; hear them out! These are snippets of homeowner’s reviews. To read more, head to our Facebook page. 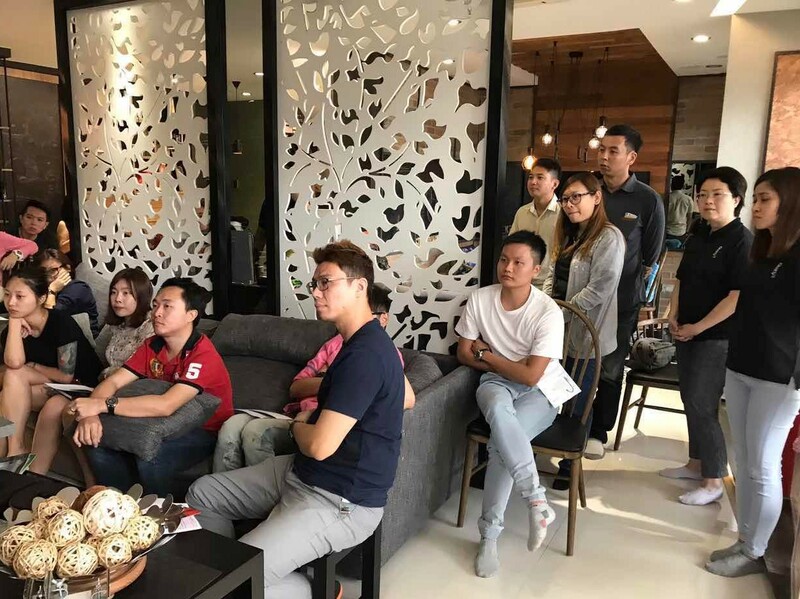 Starry Homestead welcomed the opening of our brand new showroom at Balestier Road on October 2016. This spanking new space marks our second one in Singapore. It’s built to make an impression and deliberately designed to stand apart from the rest. 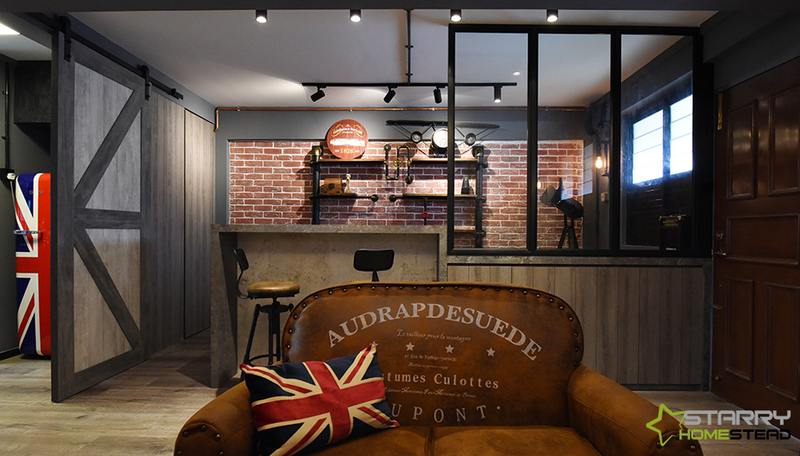 Upon entry into this showroom, homeowners are immediately greeted by an on-trend living room setting with an industrial edge – a wildly popular style favoured by many. As you explore the showroom even further, expect more show-stopping room setups such as a master suite, a bath space, a playful children’s domain, as well as an alfresco area complete with a barbeque pit. 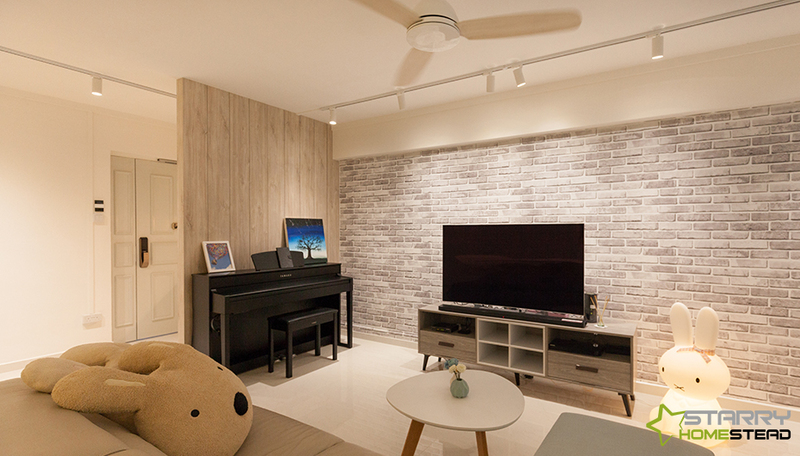 With this space, our plan is to bring you on a real-life showcase of Starry Homestead’s portfolio. In addition, we’re here to show home-proud owners that incorporating a unique feature or theme into your haven is possible. 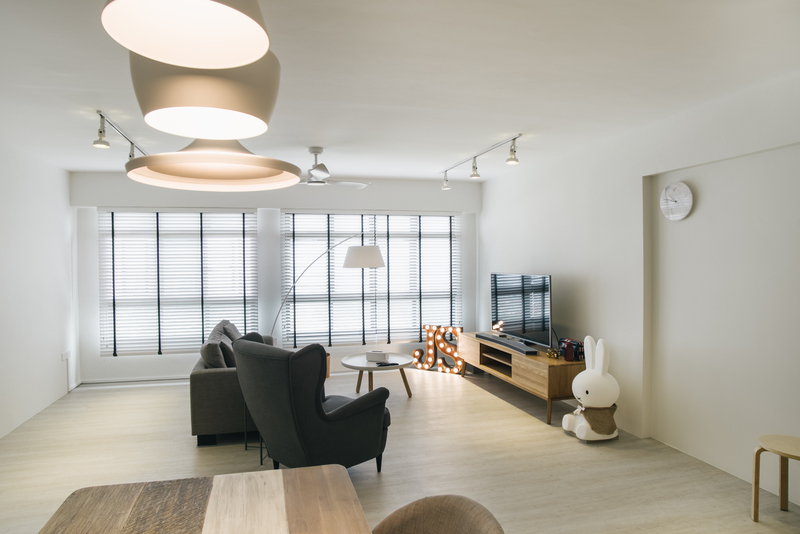 Our showroom at Paya Lebar Road, on the other hand, adopts a more contemporary vibe. However, it remains true to our agency’s identity of crafting design that lasts through time. It’s a showcase of the innovative use of materials and surfaces as well as nifty carpentry work that interplay seamlessly to create a space of utmost style. Come visit us at one of our showrooms, and have a chat with our design consultants to find out more. Contact us at 62646866 to fix an appointment with us!